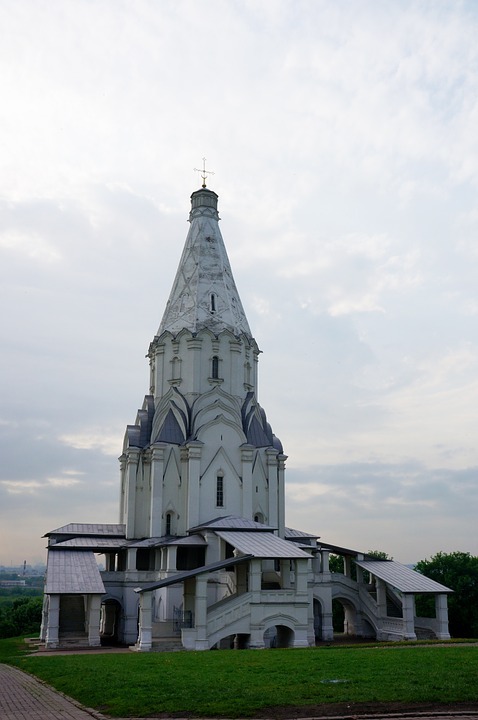 Kolomenskoye (Russian: Коло́менское) is a former royal estate situated several kilometers to the southeast of the city center of Moscow, Russia, on the ancient road leading to the town of Kolomna (hence the name). The 390 hectare scenic area overlooks the steep banks of the Moskva River. It became a part of Moscow in the 1960s. Scenic and relaxing. Worth a visit and the castle looks great! Ооочень красивое место и цветение садов! !